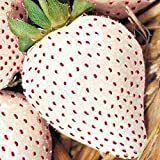 Alpine strawberry seeds for sale – Easy plant to grow with edible fruits, planting in spring to summer, better when buying seeds yet more challenging than to start from plant. Growing information: perennial plant, growing hardiness zone: 5-10 but also grown as house plant, water needed – average to big amount, light conditions – partial to full shade, height: 5-10cm, 2-4 inches. Blooming in the spring to autumn in saucer shaped flowers that appear in white color. Fruits harvesting in the spring to autumn in heart shaped flowers that appear in red, white or yellow color. 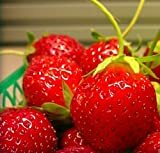 Alpine strawberry seeds for sale – What need to know before buying Alpine strawberry? 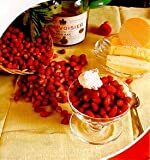 It’s is recommending to start to grow Alpine strawberry from seeds? Alpine strawberry seeds for sale – need to know before buying Alpine strawberry that it’s not hard to grow from seeds sometimes has problems of establish and dies, there are few Alpine strawberry fruit color: red, white, yellow and more, sowing season it’s in the spring warmer climate can be in mid of the winter, better to check the seller before buying, to see what he sale and not just to buy anything, here we choose for you good option. Alpine strawberry easier to start from runners (stolons), the plants establish better and easier growing that to start to grow from seeds.